Obituary – Friedemann, Rosa Lee (Swart) « Perry High School Alumni Association, Inc.
﻿Rosa Lee Friedemann, 55, a Perry elementary school teacher for 24 years, died at 1:40 p.m. Friday, Jan. 3, 1992, at her home at 1004 Locust street. Funeral will be at 2 p.m. Monday at Christ Lutheran church. Officiating will be Rev. Myron Maltz, Christ Lutheran pastor. Burial will be at Grace Hill cemetery under direction of Brown Funeral home. The casket will be open at the funeral home until 10 a.m. Monday. Memorials have been established for Christ Lutheran church of Perry or the Judith Karman Hospice of Stillwater. Perry public schools will be dismissed at 12:30 p.m. Monday for the services. Born March 2, 1936, in Perry, she was the daughter of the late Chester and Loula Swart. 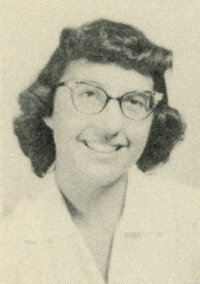 She graduated from Perry high school in 1954. 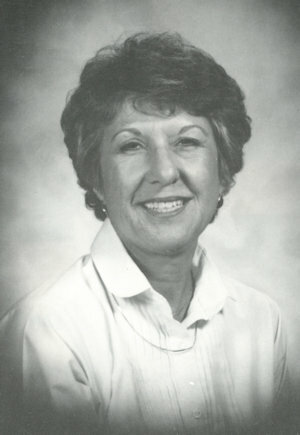 Mrs. Friedemann earned her bachelor of science degree in 1967 from Oklahoma State university and her master’s degree in 1983 from OSU. She and Hugo Friedemann, who survives, were married May 28, 1955, in Perry. She was a member of Christ Lutheran church. She also was a member of Phi Kappa Phi sorority, Perry Classroom Teachers association, Oklahoma Education association and National Education association. Survivors include her husband, Hugo, of the home; two daughters, Sandra Holmes, Choctaw; Beth Reoc’h, Annemasse, France; one son, Richard Friedemann, Las Vegas, Nev.; two brothers, Lavern Swart, Denver, Col. and Marvin Swart, Oklahoma City; one sister, Lavina Hussey, Oklahoma City; and four grandchildren. She was preceded in death by her parents, one daughter, Suzanne, and one brother Verdis Swart.